If your family didn’t exist, how would this world be different? How would your church, your town, your extended family get-togethers, and your community be different if your family wasn’t a part of it? It’s kind of an odd thing to think about, I guess, but it’s also a really good way to evaluate whether or not you’re living the kind of life God longs for you to live…a life that makes a difference in this world. Because the truth is, if we’re not intentional about the way we live, we’re not going to be that much different than our neighbors who don’t believe in Jesus. And we’re also not going to make much of an impact either. 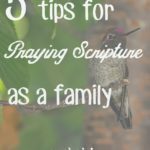 BUT, one way to help your family become more intentional is to create a family mission statement. A family mission statement is simply a statement that you and your family write together that expresses why your family exists. Here is ours: Our family exists to bring glory to God by loving each other, loving those around us, and setting a Christian example. 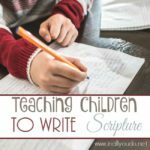 One important thing to remember when writing a family mission statement is to make sure your goal is grounded in Scripture. Otherwise, you might be more intentional, but who knows if that intentionality is leading you in a way that honors the Lord? 1. Ask for God to guide you as you work on it. 2. Set a time to talk about it with you spouse (and with your children if they’re old enough to have input). 3. 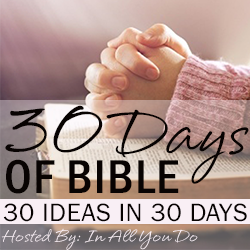 Make a list of character traits/values that are important for your family, along with supporting Bible verses. 5. Frame it if you want to keep it at the forefront of your mind. As you work on yours, remember: make it fit your family. 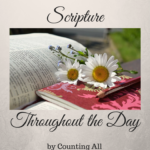 As long as it’s grounded in Scripture, there’s not a wrong way to word it. One other thing to keep in mind: Family mission statements aren’t a fix-all solution. They’re also not a guarantee your family will always do the right things. But they can serve as a guide in your decisions and in your discipline. Do you have a family mission statement? If so, please share it in the comments! 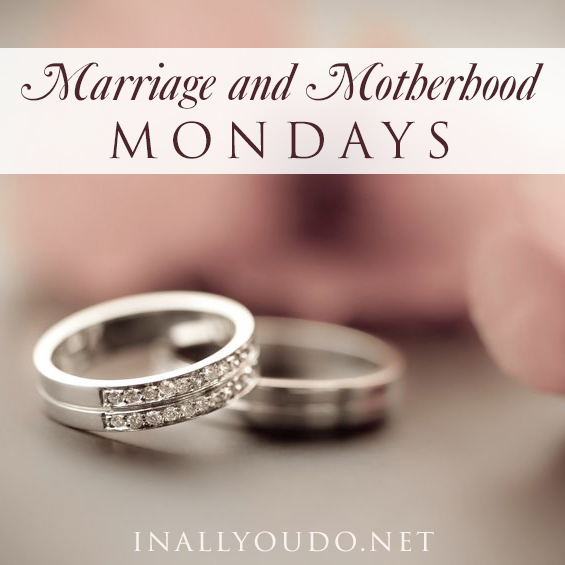 This post is also part of the Marriage & Motherhood Mondays series. Click the image below to see other post in this series. 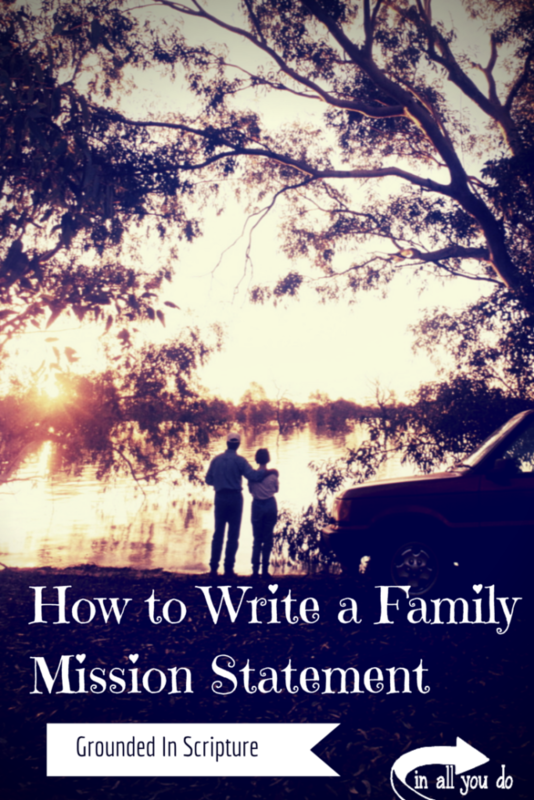 I love your family mission statement and how to write it. 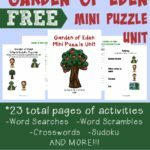 Is there any way I can get a copy of the “How to write a family mission statement” steps you have listed? My family is long over-due and in desperate need of doing this, and I’m hoping to sit down and work on this together soon. Thank you for your post. I look forward to hearing from you! Hi Connie, I’m so glad you liked this post and found it helpful! If you want to leave your email address here, I can email you a copy of this post. That way it’ll be waiting for you in your inbox whenever you’re ready to work on yours.